Arguably, the PR industry is generally getting better at conveying the right messages to the right audiences at the right time. Arguably, the PR industry is generally getting better at conveying the right messages to the right audiences at the right time. Yet, the sphere of distrust continues to expand, and messages often fail to achieve resonance, as the latest trust surveys illustrate. But this shouldn't surprise anyone, since many “messages” are not worthy of trust or even serious consideration. Think about how you feel when you call a customer-service line at a large company, and you stay on hold for a long time only to hear the pre-recorded assurance that “your call is important to us.” Do you feel frustrated? Angry? Does this feeling intensify when you reach a service representative who fails to address your concern and simply parrots pre-written ideas from a script he or she was instructed to follow? The experience probably upsets you, and it certainly doesn't inspire trust in the rep or the rep's employer. If you are like most Americans and most citizens of modern societies, the emotions you express or suppress during that phone call emerge with painful frequency in many of your touch points with corporations. You read press releases, annual reports, and statements to the media that seem to have been written by committees of empty suits. You see CEOs on broadcast interviews dodging more questions than they answer. You see corporate advertising that blatantly belies the character of the company behind the ad. As architects of many of those touch points, we understand that human beings naturally sense inauthenticity. Whether they hear from a CEO, a politician, a priest, a salesman, or a friend, they can usually hear the unmistakable cadences of pre-formed ideas. They can hear the ring of falsehood behind finely balanced messages. People are struck not only by the pervasiveness of inauthentic speech, but also by the matter-of-fact attitude with which it is tolerated and rewarded. This problem does not lend itself to easy solutions. A nexus of financial, cultural, personal, and legal urgencies continues to sustain insincere speech. Most people find it easier to copy and paste their ideas than to formulate them thoughtfully. Many participants in corporate communications find comfort in the safety of platitudes, and they see risk in originality and spontaneity. They also find their risk-aversion vindicated by Wall Street's short-term mindset and the insistence that public companies should pretend to predict their financial performance next quarter or next year. In short, communicators today find many reasons to continue to address their audiences with ideas worthy neither of trust nor even expression. With the unflappable diligence of a real estate broker who uses words like “cozy” and “pre-war” as euphemisms for “tiny” and “old,” many PR pros today are reinforcing a status quo that mostly succeeds in killing conversations. In “messaging sessions,” we can guard against the risk of over-rehearsal and robotic delivery. We can focus on helping each client discover how the messages align with his or her visceral leanings. In crafting message platforms, we should resist the impulse to impose squeaky-clean prefabricated narratives on messy and complex underlying realities. Narratives work well when they explain and contextualize facts, not when they ignore them. PR often serves highly regulated industries and markets, and regulations often suppress candor and the expressive impulse. That's why we simply need to understand the regulations well enough to express the client's unique character within the boundaries of regulatory stricture. Otherwise, we will yield to the pressure toward sameness. We should guard against threats to creativity. As the industry works to formulate a new definition of PR, it should capture the discipline's central mission as well as its many facets. But above all, the new definition – and the fresh thinking it might inspire – should not lose sight of the fact that PR is ultimately an expressive and creative process. Again, these are not easy remedies. Their application will not immediately boost public trust in corporations. But, over time, it will make a difference. 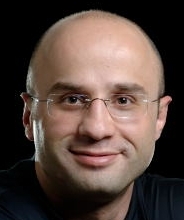 Lev Janishvili is president of IR Maven. He can be reached at lev@irmaven.com.